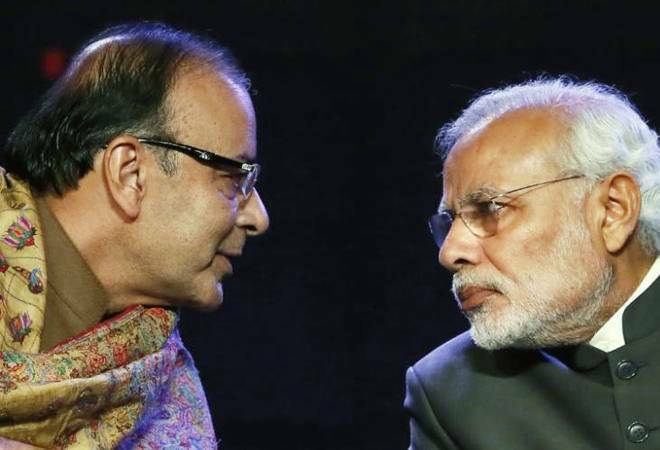 Is low inflation becoming a double-edged sword for the government? The February 2019 the consumer price index (CPI) grew by 2.57 per cent against 4.44 per cent a year ago. In January this year, the CPI inflation was 1.97 per cent. The consumer inflation has been around 2 per cent in 2018-19, mainly led by muted food inflation. While low inflation is good for the economy, a drastic fall in inflation has its negatives as well. A consistently a low inflation under the NDA government, it seems, has become a double-edged sword for the government as well as people at large. In its recently published report, in which Fitch Ratings has revised downward India's GDP growth for 2019-20 to 6.8 per cent and 2020-21 to 7.1 per cent, the rating agency says one of the primary reasons for slower-than-expected momentum in the country's GDP growth is that "food inflation has been muted and fell into negative territory late last year, weighing on farmers' incomes." According to CMIE data, the average rural wage growth has been at low single digit since 2015-16 compared to high double-digit growth in the previous years. A large drop in inflation is not only hurting the farmers, but it is also hurting others. In a Business Today event last month, when we asked the principal economic adviser to the government of India, Sanjeev Sanyal, why despite GDP growing at more than 7 per cent common people on the street cannot really feel that growth, he admitted that there is a massive decline in inflation and that has resulted in slower salary growth. The growth in salary in the last couple of years have fallen below 10 per cent across both services and manufacturing sectors, according to the latest Aon Salary Increase Survey. In 2019, the survey expects a salary growth of 9.7 per cent. In the last decade, especially from 2001-2007, salaries increased in high double digits. Aon's last year report noted: "While traditionally pay increases in India have not been affected by inflation rates, the significant drop in Consumer Price Index (CPI) over the last few quarters has also been a good opportunity for companies to manage their compensation budgets." Sanjeev Sanyal calls this money illusion, where people confuse the nominal (face) value of the currency with its purchasing power (real value). Ajay Shah, an economist and professor at National Institute of Public Finance and Policy, further explains: "In the past, inflation was expected to be 8 per cent, so you got used to giving out 10 per cent wage hikes. But now, those mechanical high wage hikes have given wages that are too high. At these high wages, the marginal productivity of the last worker is not adequate. So you pull back on hiring. What you really need to do is pull back on wages." Slower income growth is not the only problem it seems. In the past, inflation was expected to be 8 per cent, and the person who took a loan at 10 per cent made sense at the time because he thought this implied 2 per cent real (inflation). But with inflation crashing down to 2 per cent, his loan is 8 per cent real. Ajay Shah gives another example. "In the past, the finance community judged projects using very high hurdle rates. Those old hurdle rates, when placed in today's environment, yield too few projects that are viable. The finance community needs to go down to more normal required rates of return," he says.